Yes, we get it – you pride yourself at doing practically all home improvement and repair jobs. You’re not that type of homeowner who calls on someone else if the faucet is leaking, the door is jammed, or when the thermostat isn’t working. For you, there is a huge amount of savings involved if you are able to perform simple repair and maintenance jobs at home. However, not everything can be done on your own. One of the things you shouldn’t be doing all by yourself is roof repair. If you have something that needs to be fixed up there, call a professional roofing contractor instead. If you think there’s no need to, then you should be reading this post. From LifeHack.org, the article titled “Why You Should Hire a Roofing Contractor Instead of Doing it Yourself” considers three factors that carry the most weight in figuring out why you need the pros – these are experience, safety, and time. Depending on what field you are specialized in, you might have absolutely no knowledge of how roofing works, and what the best techniques are. Most roofing professionals spend hours upon hours working with other contractors, perfecting the skill before setting out in business on their own. They are licensed and know exactly how much material will be needed for your home. Those setting out to do this project for their own home have a tendency to either grossly over, or underestimate how much material will be needed. No amount of research and studying will give you the same knowledge that experience can. You don’t want to make an experiment out of your home—get the roof replaced properly the first time to prevent further projects from being needed. By doing a poor job yourself, you will only be spending more money hiring somebody else to come take care of the mess you created. Every day brings an unfortunate number of falling accidents; many resulting in extreme injury or even death. Do all you can to avoid these situations and be safe. When you are learning a new skill, most of your attention is dedicated to completing the task, not your surroundings. In some cases this is just fine, but when it comes to fixing the roof, this is downright dangerous. If you do choose to take on this task, be sure you have somebody there working beside you, to ensure you are safe throughout the entire process. Not only do professionals have the knowledge to get the job done right, they also have the tools needed for whatever challenges your roof may possess. Their equipment allows them to do all the repairs, and remain safe as well. Even though roofing has been around for years, the technology and techniques have continued to change. Let somebody who has been through all the twists and turns of the industry finish the task. If you do it right the first time, doing your own roof may save you a little bit of money, but will take an immense amount of your time. Most people don’t know what they are doing when the head up to the roof and begin the project. This only makes it more difficult. The time you spend may be for nothing if you make even the smallest mistake. For those who make a major mistake, it is then necessary to call a roofing professional, which will cost you much more in the long run. If the roofing company makes a mistake, they will come and fix the problem, usually at no extra cost to you. When you make a mistake, you are left with the disaster. See the full version of the article here. It’s pretty obvious that roofing contractors make a living out of providing repair, maintenance, and installation services to residential and commercial roofs because they underwent training and developed skills and knowledge for years. That’s why they already know how important safety and doing the work on time are. As for you, any roofing job, even the simplest ones, are actually easier said than done. Firstly, you probably do not know how to do a roof or even repair your roof properly. Most people don’t know how to select the best roofing materials or they might know how to do emergency roof repairs. There are some roofing problems that you might not see, so a professional will never miss them when they are repairing roofs. There are some bigger problems that you might be covering if you decide to do your own roof. For example, you might decide to fix a leaky shingle roof, but there is a bigger problem that you might be covering. This will cost you more in the long run. That is why it is better for you to hire a professional who will check all the problems in your roof. They will use the right materials when they are fixing these problems. 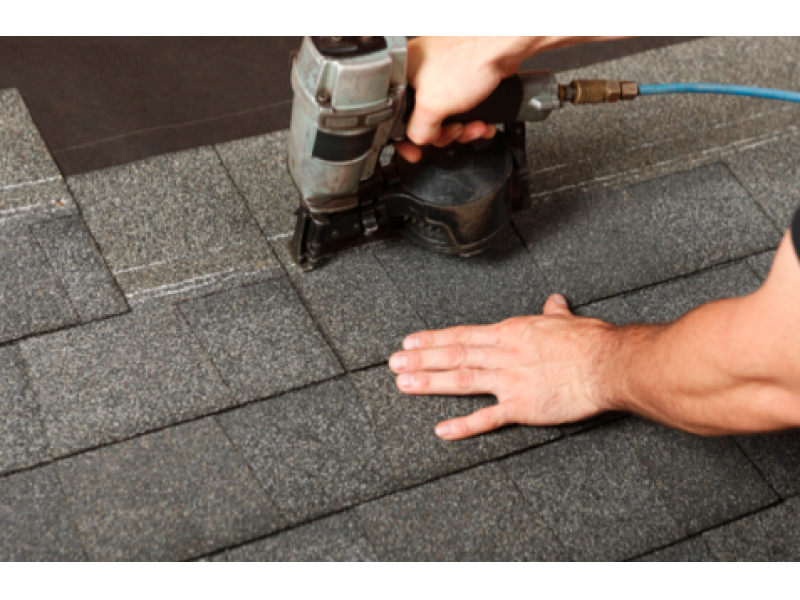 You might decide that you are going to do your own roof because you think that it will save you money. The reason you are doing your own roof is to save money, so you will choose roofing materials that are cheap and these usually deteriorate quickly. Know that this is false saving because it will cost you more, because you will have to replace these materials regularly. However, you won’t face this problem if you hire a professional. The professional will choose the right roofing materials. This means that these roofing materials will last for a long time. These professionals will also choose the right sealants that can stand up to high temperatures. A professional will save you a lot of money, because the roof will last for a long time and you don’t have to do regular maintenance. You might injure yourself when you are doing your own roof. High ladders are used when climbing the roof, so if you have never climbed a high ladder, then you don’t have to risk your life. Professional roofing contractors have been highly trained in the use of these high ladders and they are familiar working high up. That is why you should hire these professionals if you want to avoid injuries. You have never done this job before, so you will be asking for trouble if you decide to climb your roof to do roofing maintenance. These roofing contractors will do a better than you. Therefore, you will be buying a peace of mind if you decide to hire someone who is experienced at this job. You know that they have been doing this job for so many years, so they are experienced and they are better than you. We couldn’t agree more on the fourth reason, which is the fact that a professional roofing contractor is expected to do a much better job than you, even if you feel like you can do the same. In the end, you just have to accept that roofing repair, installation, and major maintenance tasks are intended for those people who have years of experience doing it. Even if you think you’ve watched enough YouTube videos and read a lot of articles online, you still cannot match up your skills to that of a pro roofer.